Sometimes I look for comfort in baseball, and sometimes it doesn’t give you anything in return. Saturday night was one of those nights for the LA Dodgers. The Astros pummeled the boys in blue at Dodger Stadium by a 14-0 score. The game was close through the first six innings with the Dodgers only down 1-0 until the Astros scored four runs in the top of the sixth and seven more in the seventh. It never felt like the Dodgers had a chance. Simply stated, the Dodgers are simply not that good. They’re not nearly as good as last year. The World Series rematch between the Dodgers and Astros has not turned out as Dodger fans would have wanted. Last October when the two clubs matched-up they were both baseball behemoths. The Dodgers had won 104 games and bulldozed their way through the National League playoffs. The Astros had won 101 games and scored 896 runs in the regular season. It was a battle of two equally strong clubs that ended with Houston winning by a single game. This time around in 2018 the two clubs are separated by nine games in the standings but it looks as if the Astros are ahead by 30 games. Last night’s contest was noteworthy for the atrocious debut of John Axford — the Dodgers lone pitching acquisition at the non-waiver trade deadline. Axford allowed six runs on three hits while only retiring one batter. Thank moneyball for another ineffective journeyman reliever. Poor Kenta Maeda gave it his all and kept the Dodgers in the game through six innings. Up until the sixth inning Maeda had allowed just a second inning home run to Marwin Gonzalez which put the Astros up 1-0. The score remained there through the first five innings as the Dodger bats once again shutdown against Lance McCullers. It was like the Houston pitching had a lockjaw on the Dodger offense. At least we know that Maeda is a dependable option that will give the Dodgers a decent start at the least. He’s someone that can be counted on. On Saturday night he just ran out of gas. The Astros scored four runs in the eighth and seven unanswered runs in the top of the seventh. In that sixth inning former Dodger troublemaker Josh Reddick sparked the rally with a double into left center field. Maeda had pitched very well but it was clear he was losing it. Dave Roberts wanted him to get through the inning so badly that he ignored logic. After a walk to Alex Bregman the game continued to slip away from Maeda and the Dodgers. Yuli Gurriel doubled in both runners and gave the Astros a 3-0 lead. Gonzalez was intentionally walked and Tyler White’s double scored another run to put Houston up by a 4-0 score which seemed insurmountable. Reddick’s three-run home run in the seventh inning was the lowlight for the Dodger faithful. That’s because the Dodger bats (going with an all right handed lineup for some reason) went to sleep and never woke up. McCullers had entered the game with an ERA of over 9 over his last three starts. 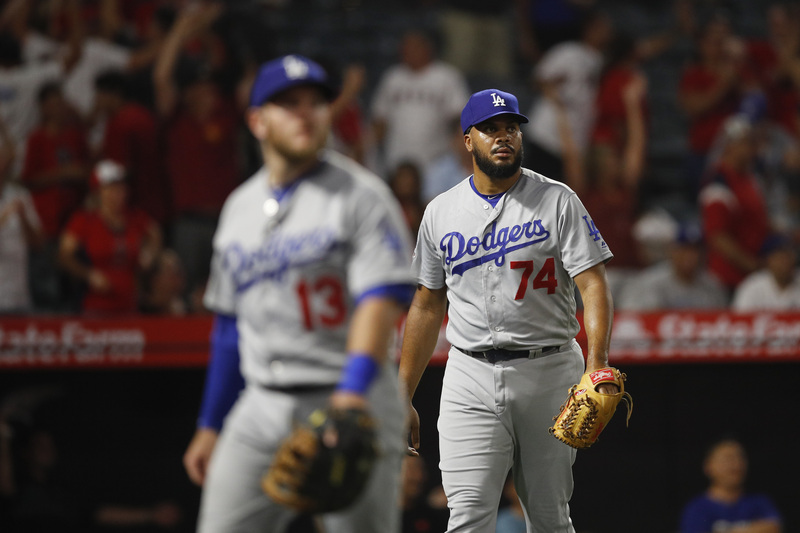 The Dodgers managed only two hits against him across four innings before the right hander had to leave the game early after suffering an elbow injury. The Astros then used five different relievers to shutout the Dodgers. The boys in blue had just three walks and a Manny Machado single from the fifth inning on. The Dodgers scored 21 runs on Thursday night versus the Brewers and have scored just once since then. To make matters worse Alex Wood was placed on the disabled list and we had to watch Zac Rosscup pitch this evening. Oh and the Dodgers are back in second place. Things are rosy. The Dodgers look to get swept on Sunday afternoon with Walker Buehler taking the mound. Houston will give the ball to Gerrit Cole who will undoubtedly throw a shutout. This article was originally published here at LA Dodger Report.